This post is brought to you by Pencil Grip. All thoughts and opinions are 100% our own. Hello friends! Who needs an awesome last minute gift idea?!! If so I have just the thing for you! 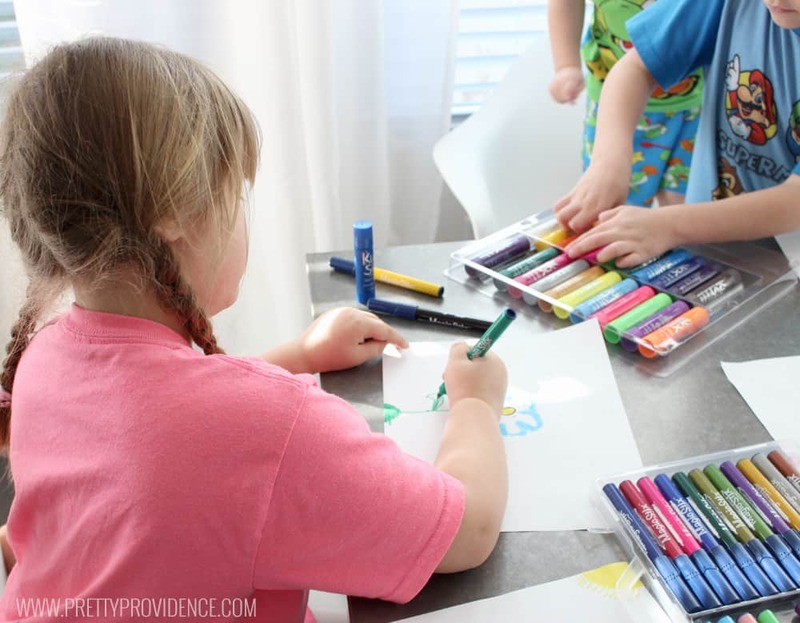 My little ones are super into art (like, drawing, painting, creating all day long) and we used to lose markers like it was our job! 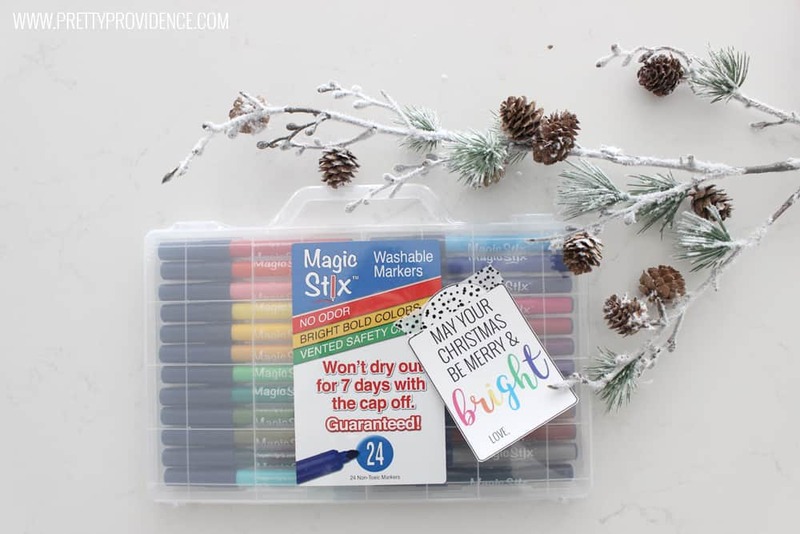 These Magic Stix are a game changer! 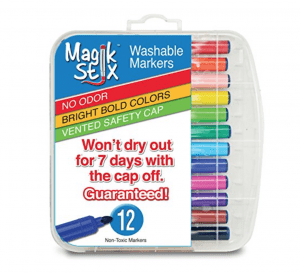 It comes with a case so every marker has a spot, all 24 colors are bright and beautiful, and even if you temporarily loose a lid they don’t dry out for 7 days (we have gone a few days before and it’s totally true)! Plus they are odorless, washable and non-toxic! Anyway, we are basically obsessed with them around these parts and so I knew I wanted to use them for a gifts this Christmas season! 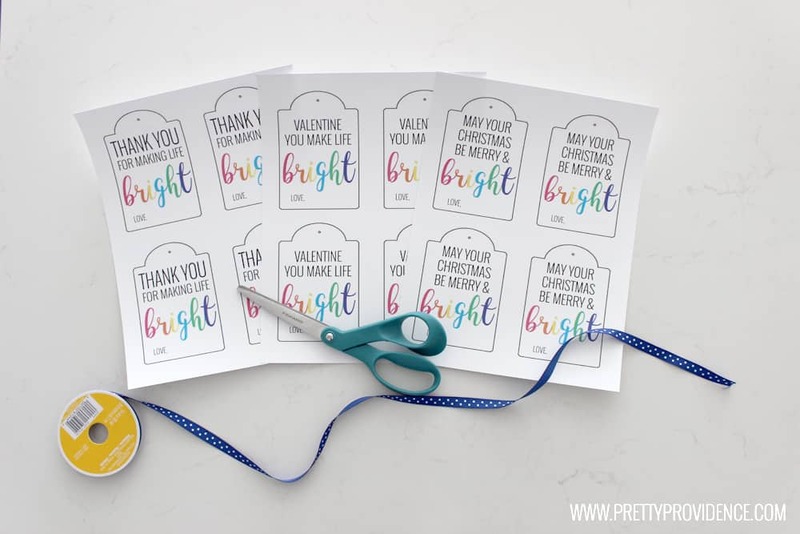 I made these cute free printable gift tags to accompany them, hopefully making gifting easy for you! Plus, they are sold on Amazon so you still have time to get them before Christmas! 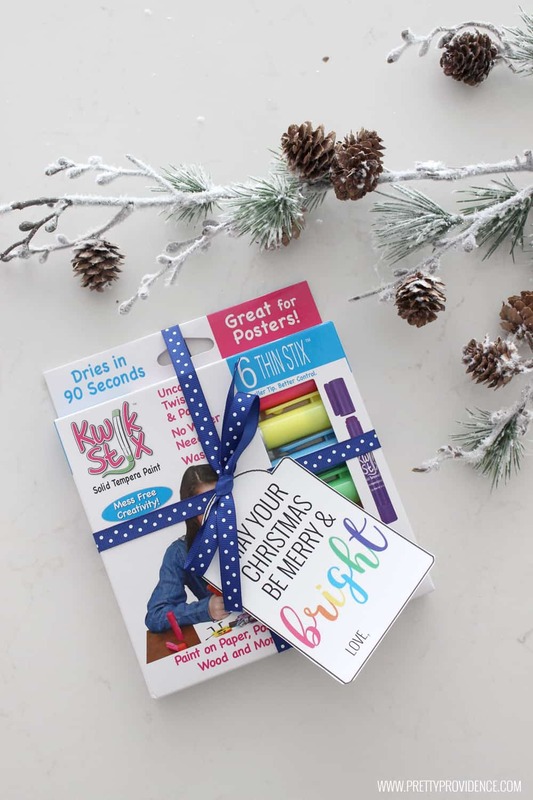 We also LOVE these Kwik Stix paints! 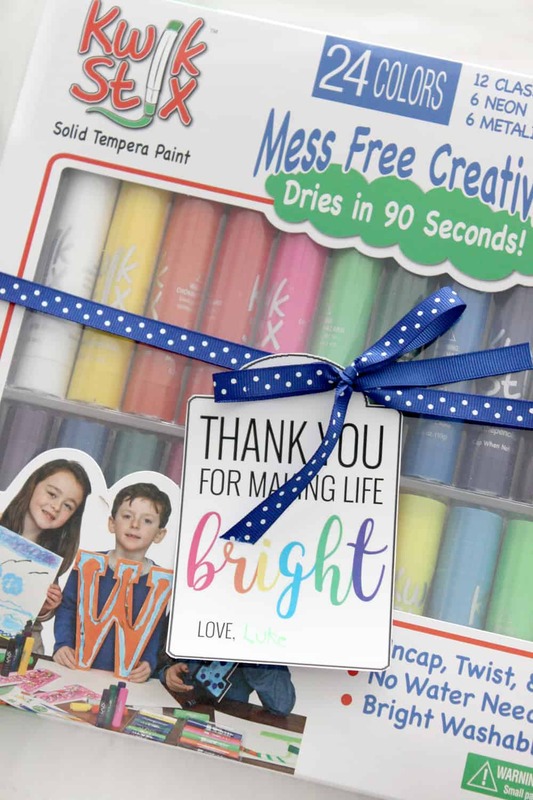 My kids are always begging me to paint, but it is such a hassle to get out all the supplies and they always make such a mess that I hesitate to let them as frequently as they would like! These babies have been lifesavers! In addition to the classic pack, they also come in neon and metallic colors! 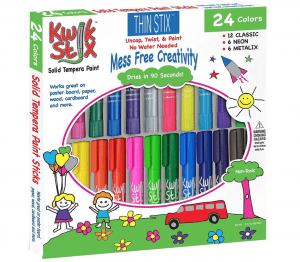 You can find the Kwik Stix on Amazon, at Michaels, at Walgreens or on the Pencil Grip website! They work on wood, canvas, posterboard, aluminum and more! 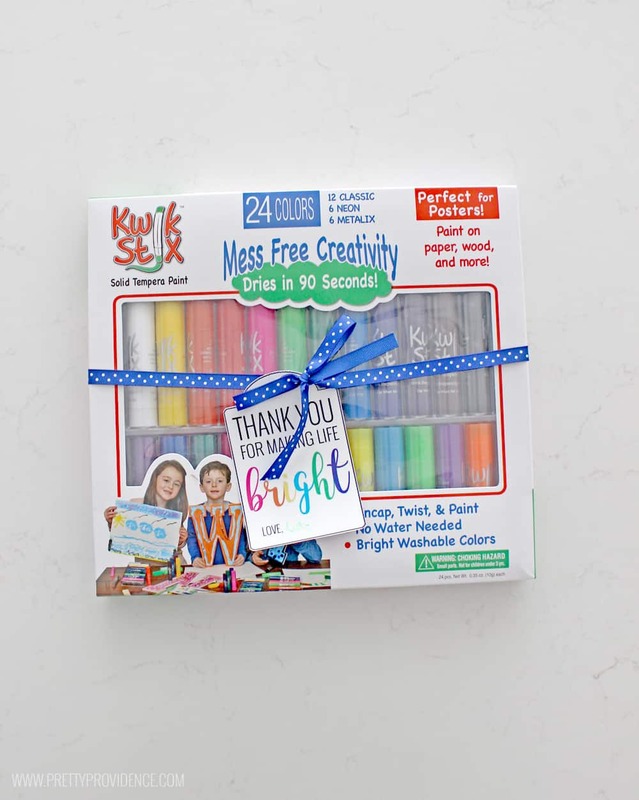 If you have little artists like me, they definitely need these babies in their lives! 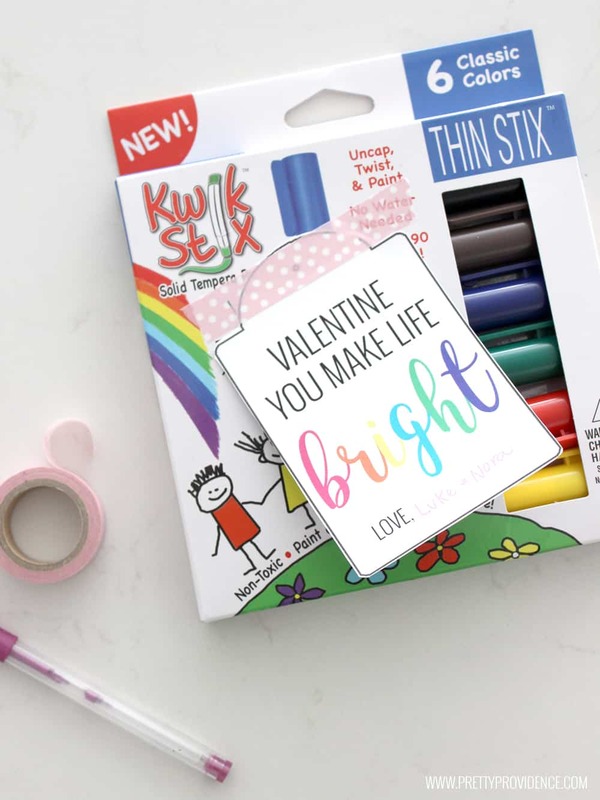 In addition to the “Merry and Bright” Christmas tags, I also made a Valentine’s Day version as well as a general Thank You tag that would be great for teacher appreciation days! You can use washi tape or tie them up with ribbon and I think they look super cute either way! 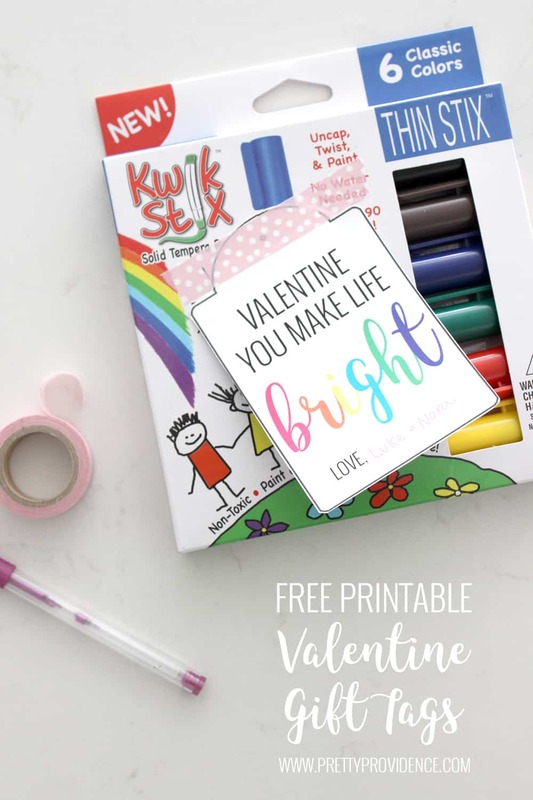 To print your own free printables simply click the appropriate link below, download your PDF and click print! Here’s a little snapshot of my artists in action! As you can see, we have art supplies out before we even get dressed or eat breakfast! Haha. P.S. Don’t forget to pin these for future reference!